If there’s one thing Melburnians love more than burgers and French toast, it’s patting fluffeh, four-legged puppehs. In the most tail-wagging news you’ve heard all week: we’ve found a doggo-friendly café that has all three. 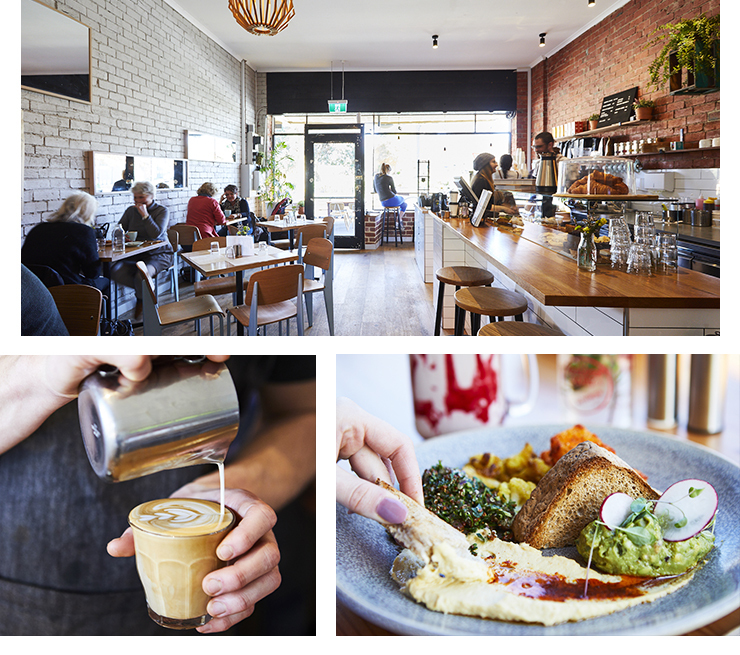 Dish & Spoon in Camberwell is a local favourite, and a gem in Melbourne’s brunch-packed food scene. Alongside the stellar kids menu which includes a bowl of Coco Pops for under a fiver (can we pass as five-year olds? ), there’s a range of vegan, vego and gluten-free dishes that will get everyone’s tongues lolling. Spiced popcorn tofu features through the vegan breakfast, along with home made hummus, tabouleh, buckwheat and chia bread, curry pickled cauli and apple avo smash. Colour-bursting orange brioche French toast is a clear favourite, and with Campos espresso white chocolate ganache, matcha mascarpone, fresh berries and caramel popcorn, why wouldn’t it be?! Other highlights of the all-day menu includes the risotto hash, made from a pressed, crispy cut of creamy risotto served with buttered mushrooms, asparagus, house tomato relish and poached egg. When the clock ticks past midday, try dishes including a fresh poke bowl, southern fried chicken burger or dark soy beef short ribs on a wasabi potato mash. 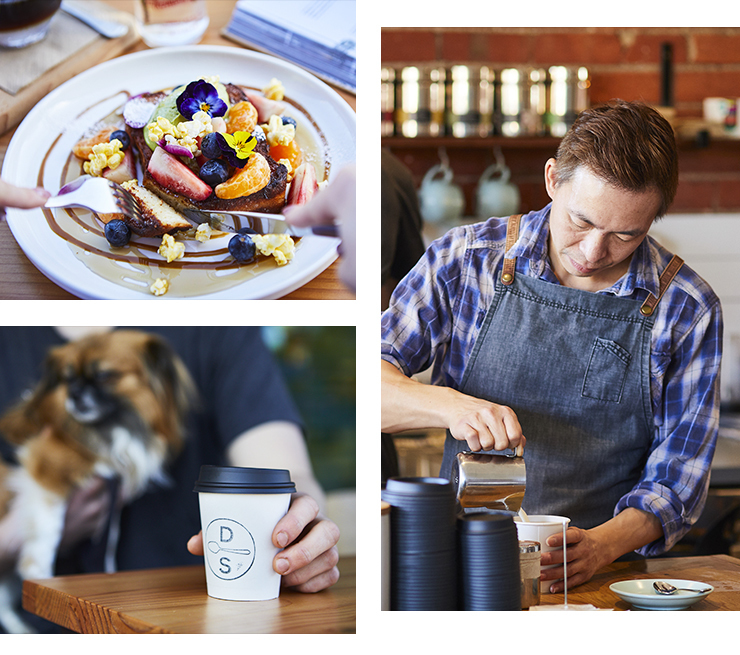 In classic Melbourne-style, there’s a clear focus on high-quality coffee. Filter coffee (cold drip and batch brew), single origin and several different coffee blends sit alongside Matcha Maiden or Golden Grind Tumeric lattes. Smoothies are perfect for summer, and there’s a PB&J shake which you definitely won’t want to share. The interior houses pastel blue and timber chairs, rustic open brick and a special doggy door for your furry-eared friends. Tables lined up outside the café and in the courtyard are all paw-fectly paw-friendly—a testament to the service at Dish & Spoon. 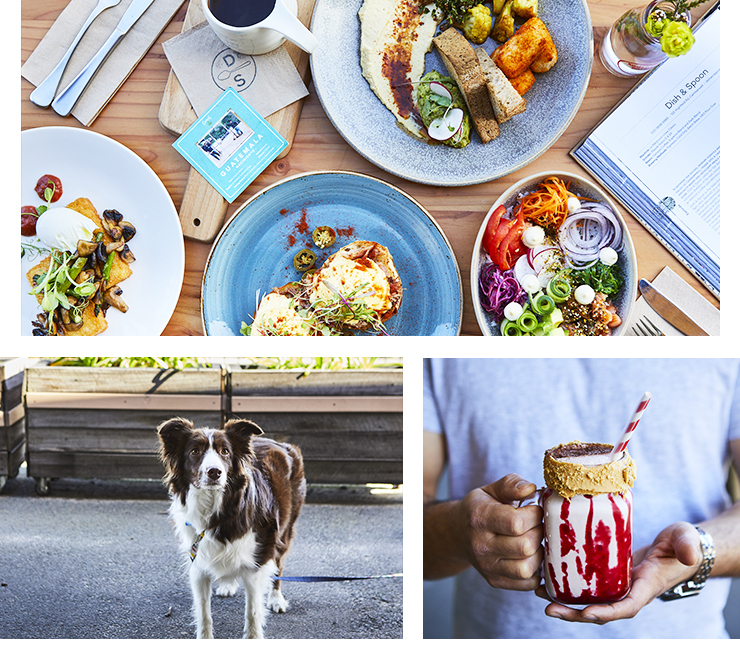 Whether you’re dropping by for a two-minute espresso, bringing the extended family for a boisterous lunch or enjoying a quiet Sunday morning with your favourite fluffy, needy buddy, you can expect your order dished up with a smile (and maybe a spoon). Editor's note: This article is proudly sponsored by Dish & Spoon and endorsed by The Urban List. Thank you for supporting the sponsors who make The Urban List possible. Click here for more information on our editorial policy.